Here I will explain cursor in sql server with example or simple cursor example in sql server and how to use cursor in sql server. Cursor in sql server is used to retrieve set of data from table, loop through each record row by row, and modify the values based on requirements. In previous articles I explained While loop example in sql server, nested while loop example in sql server, get only month and year from date in sql server, substring function in SQL server and many articles relating to SQL server. 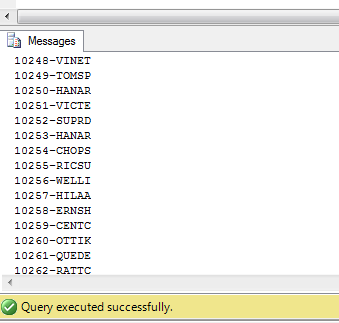 Now I will explain cursor in sql server with example. Write cursor script like as shown below and run it. can you explain, why FETCH statements are two times in Example ?? ?